Our society faces a rich complex of problems. Since the beginning of the industrial revolution some 250 years ago, there can be seen many environmental changes. The environment is an important issue even when society is faced with economic crises, wars, and unending social problems. It mat­ters because Earth is the only home that humans have, and it provides air, food, and other needs. Global warming caused by cli­mate change can result in a rise in sea levels submerging coastal land, and thereby reduc­ing and harming habitats of animals living by the coast as well as human settlements. At present the environment is being threat­ened by increasing levels of pollution of air, water, land, noise, thermal, and light to name a few. These not only impact the environment but also human health and world economy. Pakistan is currently going through a period of massive population growth, and this de­velopment is driving most of the country’s environmental issues. As a developing nation, many of Pakistan’s environmental policies are focused on provid­ing clean water and air to the population, and mitigating the threat posed by natural disas­ters, all in a sustainable manner. The country also prioritizes safeguarding the environment, the honouring of international environmen­tal obligations and the sustainable use of resources. One of the government’s goals is to increase the public’s embrace of environ­mental management issues. The government has also been placing a greater consideration on environmental con­cerns when making decisions. Key specifics for Pakistani environmental policy include preserving agricultural soils, better irriga­tion, preserving bodies of water, maintaining biodiversity, better energy efficiency, manag­ing urban waste and developing renewable energy sources. The current government of PTI under the leadership of Prime Minister Imran khan is eager to attain the objective of clean and green Pakistan through drastic changes with the in­volvement of the youth of Pakistan. 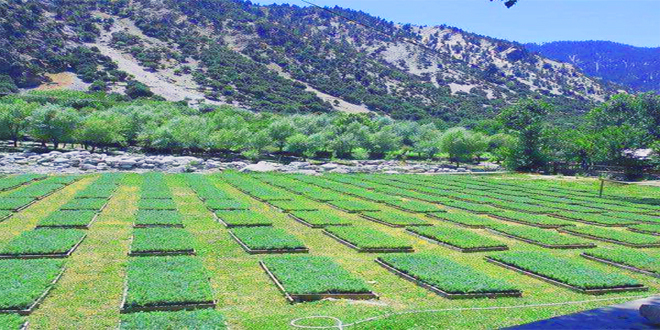 Earlier in 2017, PTI government in Khyber Pakhtunkhaw (KPK), has planted an unprec­edented 1 billion trees in just more than two years and surpassed an international commit­ment of restoring 350,000 hectares of forests and degraded land. The massive effort aimed to turn the tide on land degradation and loss in the mountainous, formerly forested KPK, which lies in the Hindu Kush mountain range. Imran Khan being the head of the Pakistan Tehreek-e-Insaf (PTI) party launched the re­forestation campaign, dubbed “Billion Tree Tsunami,” in 2015. The International Union for Conservation of Nature (IUCN) in a state­ment congratulated the Pakistani province on reaching the “momentous milestone.” “This marks the first Bonn Challenge pledge to reach its restoration goal,” the organization noted. More than 20 countries have so far re­sponded to the challenge, expressing an ambi­tion to restore more than 60 million hectors by 2020 with more commitments expected. Prime Minister Imran Khan recently launched a countrywide ‘Clean Green Pakistan’ campaign to tackle the challenges of rising pollution and global warming and with a resolve to create a Pakistan even cleaner than Europe. Starting the campaign himself from a college depicts the importance of youth drive in this campaign. At the occa­sion PM said, besides cleanliness, enhance­ment of the green cover was equally essential as Pakistan was the 7th-most affected coun­try for global warming. Adviser to the Prime Minister on Climate Change Malik Amin Aslam Khan, revealed that Pakistan is not among the countries responsible for taking serious initia­tives to mitigate climate change risk, but is a sufferer of global impact. In light of the seriousness of the matter, he said the government is determined to work for climate change and environmental pro­tection with Clean Green Pakistan and Billion Tree plantations in the coming years. Role of youth and its significance in development of any area is irrefutable. Saving our environ­ment and dealing with climate change is a phenomenon which is going to have an im­pact on the future generation. More youth continue to adopt both conventional and unconventional methods to contribute to en­vironmental care and protection. Youth have already begun mobilizing their peers on social media or other online interactions to discuss debate and advocate for better environmental protection.